1 What is FIXD device? 2 What does FIXD do: Features and Functions? 4 Will FIXD device work with your vehicle: Compatability? This handsfree device is the 2nd generation of the previous FIXD Car Scanners. 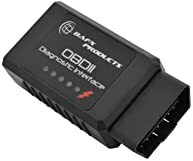 For those who are not familiar with FIXD devices, these compact modules fit perfectly in the OBD2 port and operate through a mobile application. That means all the tools you need to effectively scan and diagnosis your vehicle can now have on the screen of your handheld device. Finally, there is an OBD2 scanner that translates engine problems into simple English without breaking the bank. Not only will you be able to understand engine codes with this advanced device, but also learn about the severity and consequences of engine trouble codes. Additionally, you can expect to be alerted about scheduled maintenance or oil changes needed for your specific vehicle. To sum it up, this FIXD device is a friendly tool that monitors the health of your vehicle and makes car diagnostics seem like a breeze. What does FIXD do: Features and Functions? With Bluetooth, hands-free technology, you won’t have to fumble around with cords. Instead, you can easily maneuver around your vehicle while reading engine codes. Easily Read and Clear the Check Engine light with FIXD after the device dives into the OBD. FIXD displays pending, permanent or stored codes from within your vehicle. The advanced application technology allows you to see more than 7000 car problems directly from your smartphone. That includes advanced code reading such as ABS, Airbag, Transmission problems, and Tire Pressure. After running the tests needed on your vehicle, the FIXD device can display a Diagnostic Report. Namely, it gives clear definitions and possible repairs. Additionally, with Freeze Frame technology you can get a clear picture of when a trouble code is stored. Live Data functions are included as well to help the user have a clear visual of multiple PIDs in either a graph, a chart or a gauge. You are also able to check the wear and tear on your vehicle by keeping an eye on battery life, tire tread or windshield wipers. It doesn’t stop there, although this device is small, working with this smart-device gains you access to limitless options. You are not just restricted to one vehicle like with some other scanners. With the FIXD Monitor, you have the power to control multiple vehicles. FIXD can give you peace of mind when your kids get behind the wheel with this family device. Since it includes continuous monitoring to let you know when there’s a problem. No more worrying about automotive, incomprehensible jargon and instead get detailed explanations with resources to help you solve the problem yourself. Always forgetting when your next oil change is? With FIXD you can have friendly reminders about recommended maintenance for your vehicle. Now on the market, there are plenty of bluetooth devices. However, the compact and sleek design of the FIXD Monitor stands above the others. On the application, you will be able to understand the problem codes in plainly stated English and know the severity of the situation. With FIXD you can leave the device plugged into your vehicle without fearing for a dead battery. Through that way, you can always know the health of your car. In the case that there is a problem with your vehicle, FIXD support offers videos that can help guide you to a resolution. Use FIXD as a family maintenance tool to monitor the health of all cars in your garage. FIXD ensures the entire family is driving in safe conditions. If you’re driving an older vehicle, you may be familiar with pesky engine light. This device saves you the trip to the mechanic. However, with the FIXD application platform, some buttons to go back a step are missing which makes the interface a bit frustrating. Will FIXD device work with your vehicle: Compatability? 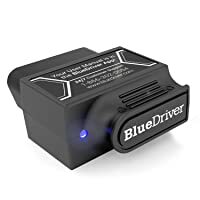 If you want to monitor the health of your vehicle from your phone, this device can help you link up with an IOS or Android device. But beyond just technology compatibility, this car scanner works with a gas powered engine from 1996 and newer and any diesel vehicle 2008 and newer. Unfortunately, that means FIXD is not compatible with any electric engines. As always, it’s most important to check the compatibility of your vehicle with the FIXD support team before purchase. To get start with the FIXD Car Health Monitor, all you need to do is plug it in and open up the application on your phone. From there, this small computer will get to work and act as the communicator between your car and your mobile device. The FIXD team is proud to announce that this application and module were engineered by certified mechanics in the US. Each day they are striving to better the application tools and updates for the device to keep FIXD as the number one driving Bluetooth device. 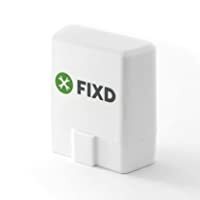 If you are a fan of wireless technology and tired of the mechanics’ shop, it is time to put the tools in your own hands with FIXD.